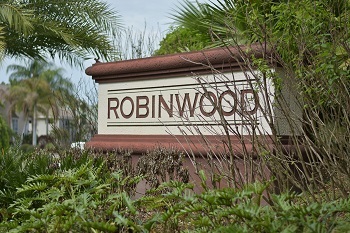 Robinwood is an upscale community within Lansbrook located in the highly desirable East Lake area of Palm Harbor. Built in 2000, this prestigious golf course community of luxury property with access to Lake Tarpon has everything to offer. Homes for sale in Robinwood are highly fashionable both inside and out, with beautifully manicured landscaping gracing the walk as you enter in to your formal foyer with marvelous views. The bright open rooms flow elegantly into each other while remaining separate for their own functions. Alcoves throughout the homes add to the unique decor with custom built-in desks, plants shelves, double sided fireplaces, and more to meet the needs of the homeowners. The architectural detail in these four, five, and six bedroom single family homes is breathtaking. Volume ceilings, skylights, gourmet kitchens, media rooms, game rooms, and the amazing views surrounding a Robinwood home are just a few of the too-many-to-mention features found here. Homes for sale here have living space of nearly 4000 square feet with a nominal annual homeowner association fee. 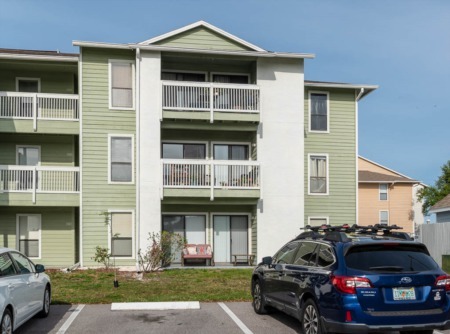 While living in a gorgeous model perfect home in Robinwood, you can also venture out and enjoy the peaceful walking trails, lakefront park, sports park, and golf course of Lansbrook, and boat access to beautiful Lake Tarpon. Outside of Robinwood you have a variety of choices for entertainment, restaurants, and outdoor activities. Picnic at the county parks, bike, skate, or walk on the Pinellas Trail, work out at the YMCA, and in just a twenty minute ride you can relax at the most beautiful beaches on the west coast of Florida. 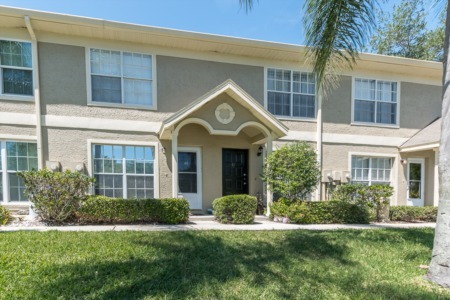 With top rated Pinellas County schools, the Palm Harbor area is extremely attractive to families. Selling your Home in Robinwood? Are you thinking about selling your home? Look no further than Lipply Real Estate Agency. Call us today and ask an agent about the possibilities of selling your home. Our skilled agents work hard to come up with a strategic marketing plan to ensure the best possible sale of your home. Don't miss out on an opportunity.